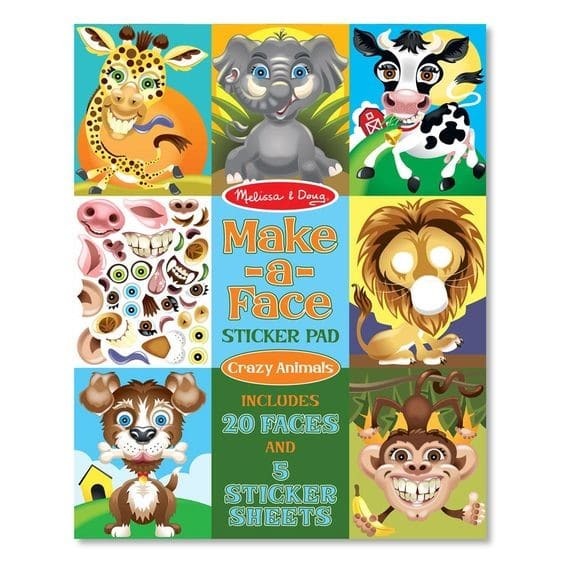 My daughter loves sticker activities, particularly the crazy animal ‘Make-a-Face’ sticker pads from Melissa & Doug. 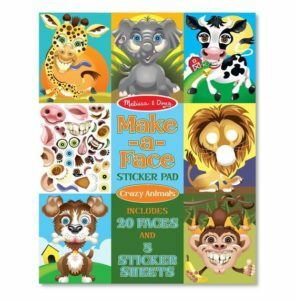 These sticker pads feature blank animal faces and a variety of stickers letting children add an animal’s features. Not only are these sticker pads engaging, but they’re just plain funny. The blank animal faces are quite humorous and the stickers of noses, eyes, snouts, and ears are oversized, colorful, and animated. These pads are our go-to resource on rainy days, long car rides, or whenever we want to have a good giggle. Using this sticker pad is a great way to incorporate conversations about life science, or the study of living things. 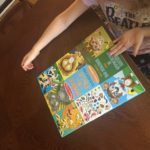 As children recall the specific physical characteristics of each animal, they are actually comparing, contrasting, and categorizing these features. 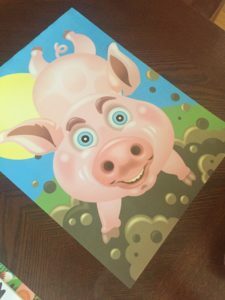 For example, as my daughter thought about what features were needed to make a pig, she made comments like “He needs pointy pink ears and a pink snout.” Her ability to recall these features shows that she’s been observant of pigs and can now apply this information to her creation. 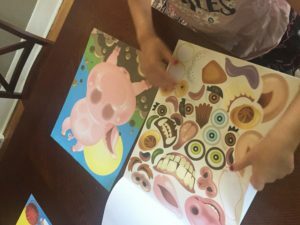 The stickers within this activity are actually the technology that help kids complete the pictures. 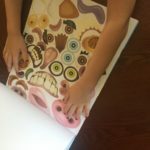 Children develop fine motor skills and hand-eye coordination by searching for, peeling off, and placing the stickers in the appropriate spots on the page. Engineering helps kids understand how things are constructed, so children are effectively designing, testing, and engineering their animals as they play and experiment with different stickers. As they create their animals, kids use math skills to count out two ears, two eyes, one nose, one mouth, and so on. If children are making silly pretend animals, they may decide on four ears and two noses, but they will still have to count out each of these features. Children may also notice the different shapes that signify different features: eyes are circles or ovals and ears are triangles or semi-circles. •	What do you know about pigs? When have you seen them before? •	How can you tell that this is a pig’s body without its ears, eyes, or nose? •	What color is this pig? Are all pigs this color? •	You found two ears. What other features come in sets of two? 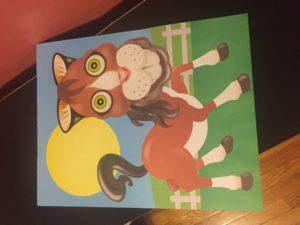 The fun part about this activity is that you can create an animal, or a combination of many animals. 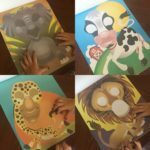 This is a fun way to challenge your child to remember the features of multiple animals and combine them into a crazy creation. For example, I asked my daughter to take the body of a horse and add cat ears, a bunny nose and mouth, and frog eyes. Here’s the hilarious result from these instructions…pretty spot on! It was so fun for us to find STEM learning opportunities within an activity that we’ve loved for a long time. 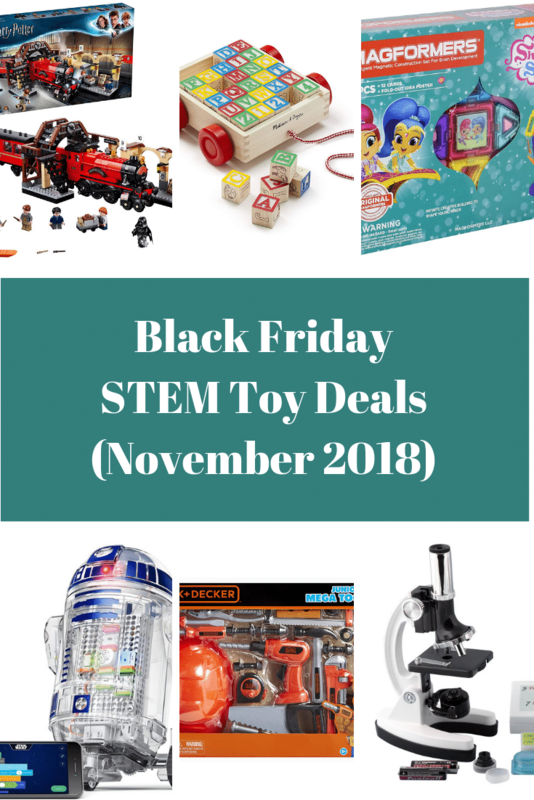 It just goes to show that STEM learning experiences are everywhere…it just takes asking the right questions and discussing the details in order to insert concepts of science, technology, engineering, and math into your child’s play. For more information on this product and others from Melissa & Doug, visit their website at www.melissaanddoug.com.